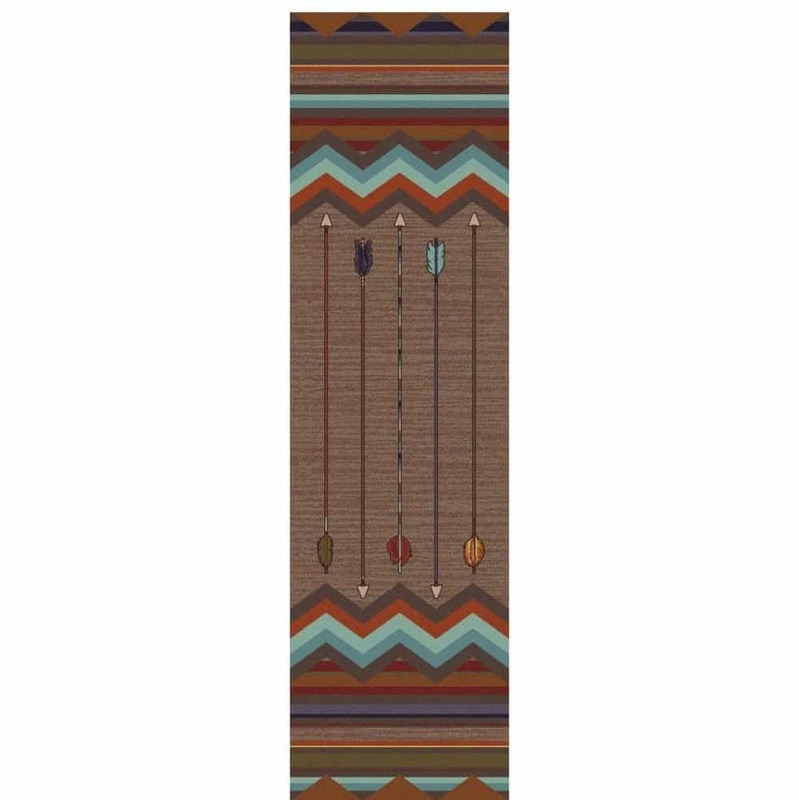 Cresting Fletcher is a Southwest rug by American Dakota. The novelty print is part of the Voices collection. The collection is a tribute to the First Americans. 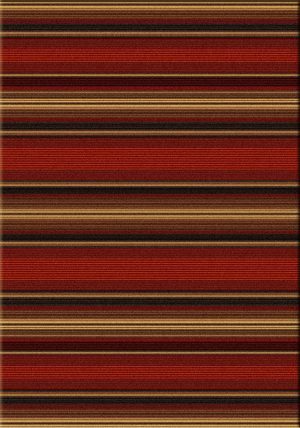 This youthful design will brighten any room with its colorful palette. 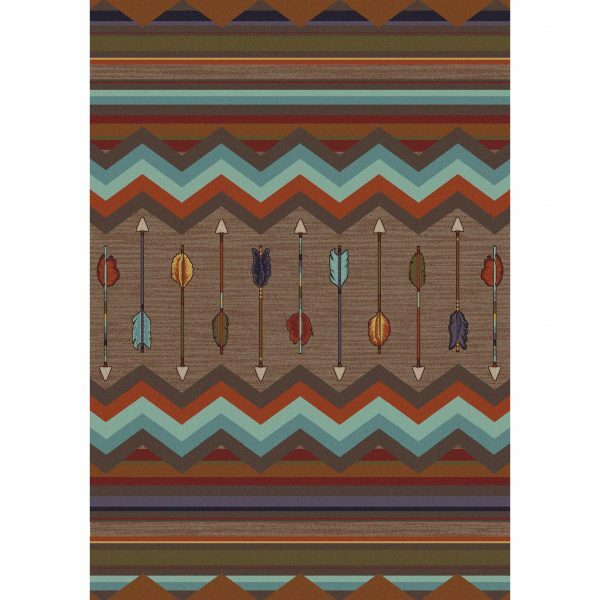 This rug will add a contemporary vibe to your space and is an affordable way to freshen up your decor. 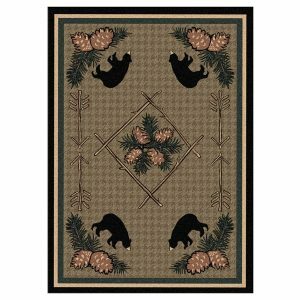 The playful pattern is really well suited for a boy’s room or a game room. 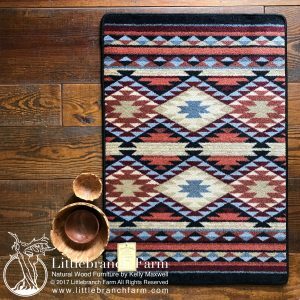 It will also pair really nicely with our rustic furniture for a modern rugged look. 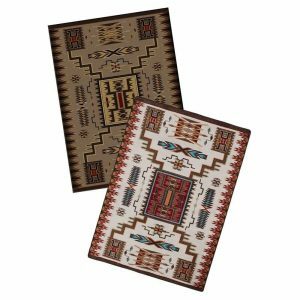 And since the fine area rug is stain resistant and easy to clean, you don’t have to worry about spills. 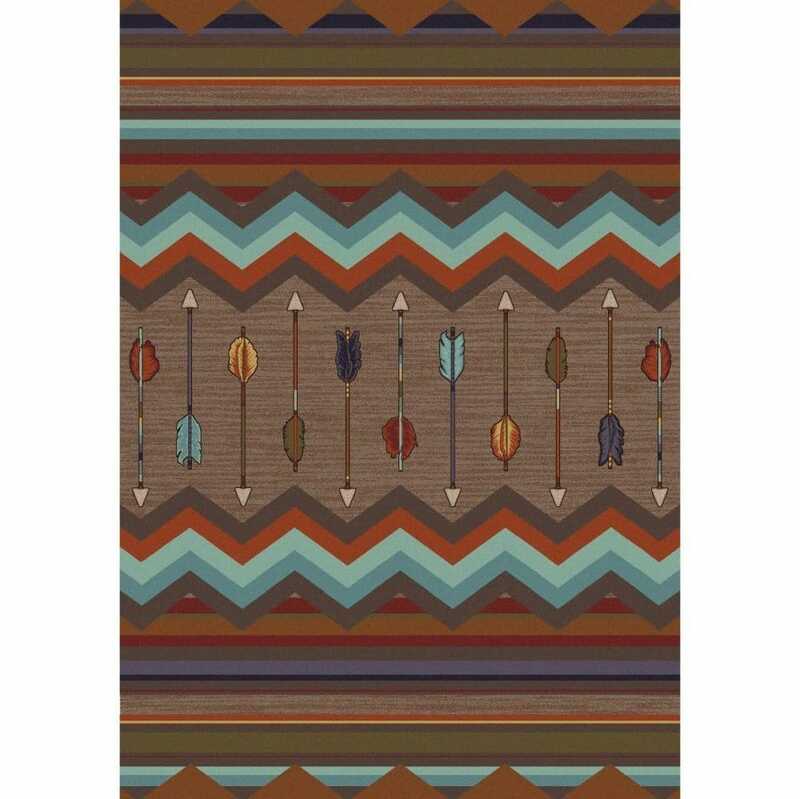 This fine area rug is great for both rustic decor or modern decor. It also is a great match with natural wood furniture with its neutral color tones. 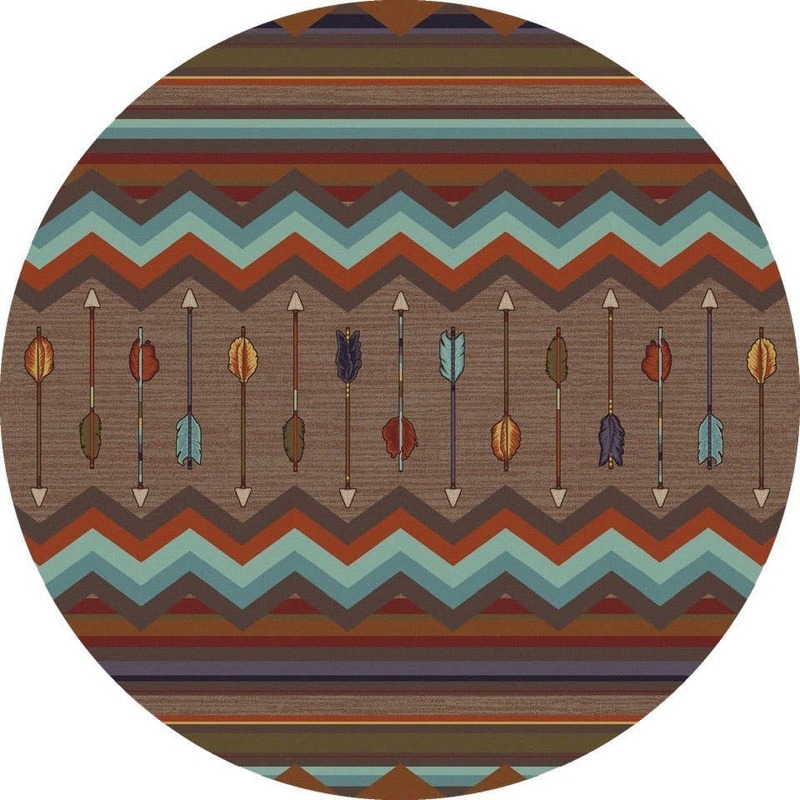 The arrow design is perfect under an organic floating burl wood coffee table. Its rich brown background complements the natural beauty of real wood furniture.